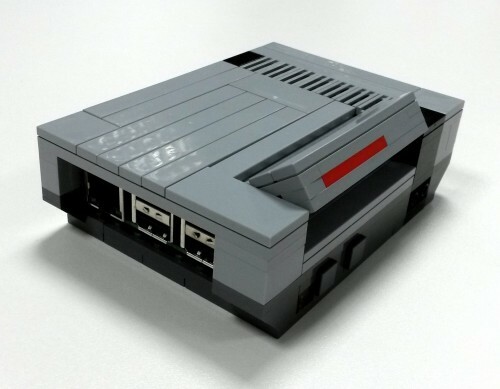 LEGO Nintendo Entertainment System Pi Case #piday #raspberrypi @Raspberry_Pi « Adafruit Industries – Makers, hackers, artists, designers and engineers! RaspiPC.es is a Raspberry Pi and accessories retailer in Spain, with a bricks-and-mortar shop as well as an online store. They’re the creators of the wonderful NesPi, a LEGO case that is a tender homage to the 1985 Nintendo Entertainment System. NesPi’s 108 pieces come with a 30-page instruction booklet, and once you’ve spent a happy quarter of an hour or so re-living contented moments from your childhood, you get this.